Despite drawing criticism for the pricey entrance fee ($650 or $2,000 depending on how big you wanted to go), Gwyneth Paltrow’s In Goop Health summit in New York City on January 27 completely sold out. Even though the conference was held in New York, the vibe was more LA: The crowd—almost all women—wore either colorful, bohemian dresses or their best athleisure. And blonde. So many blondes. So what exactly do you get with your golden ticket? (As in, literally golden—the ticket levels are called “turmeric” and “ginger.”) After spending all day at the summit, I’m reporting back with the full inside scoop. Upon arrival, attendees traded their shoes for a complimentary pair of Minnetonka slippers before being shown to the main area, which was basically your hygge dreams come to life: Comfy, oversized seating; Moroccan-inspired rugs; and plenty of ways to detox. Want a Cote manicure? Done. A Sacred Acoustics meditation? Okay, sure. Ashtanga yoga? Why not. What exactly do you get with your golden ticket? Or, you could ignore all the activations and just eat: There was no shortage of (free!) food from some of the buzziest healthy brands and restaurants including Moon Juice, Brodo (known for its nourishing bone broth), Avocaderia (the first avocado-everything eatery), The Little Beet, Milk Bar, Nix, Fields Good Chicken, Clover Grocery, Two Hands, mason-jar only restaurant Ancolie, and Jean-Georges Vongerichten’s vegan restaurant abcV—to name just a few. But the real stand-out moments came from the event’s seven panels and talks. Last year at the LA summit, the jade eggs Goop was selling (to, um, tighten things up downstairs apparently) were the talk of the day. But this year, psychics were the jade eggs of the summit. A medium delivered messages from passed loved ones to stunned family members; acclaimed astrologer Susan Miller made predictions for the coming year; a woman who had died and come back to life shared her vision of the afterlife. 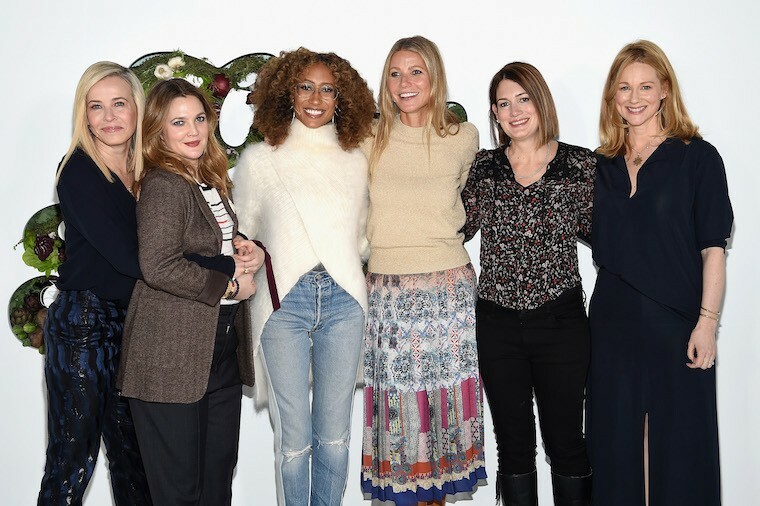 And that was all before Paltrow—or GP, as she was called throughout the day—invited Drew Barrymore, Chelsea Handler, Laura Linney, author Gillian Flynn, and former Teen Vogue editor-in-chief Elaine Welteroth on stage for what turned out to be a provocative discussion about what it means to be a woman in 2018. Keep reading for the inside scoop on Goop’s NYC summit. After starting the day with welcoming remarks from Paltrow and a meditation, medium and author Laura Lynne Jackson fluttered into the audience for several on-the-spot readings. (To a pair of sisters: “Something gold and engraved” is not being honored the right way.) She stopped to pass along a moving message to a woman whose mother had died of cancer. “She wants to thank you for helping with her crossing. You made it so beautiful for her,” Jackson said. Cue This-Is-Us-level crying from virtually everyone in the room. “This is going to sound really weird, but does someone in your family really like Cheetos or chips? And football?” Jackson asked the same woman whose mother had passed. Yep; and someone in her fam is a huge Eagles fan. “Well, I’m supposed to pass on the message that he will be very happy,” Jackson said, which was met with lots of applause and laughter. Dr. Bhatia explained that lack of quality sleep can cause hormonal changes. Fortunately, Dr. Gottfried chimed in with a way to fix that: “Orgasms are the best way to reset your hormones and lower cortisol levels,” she said. Now that’s worth missing some shut-eye for. One of the most fascinating talks of the day was by Dying To Be Me author Anita Moorjani, who experienced spontaneous healing from end-stage lymphoma. After lying in a vegetative state for 30 hours, Moorjani woke up; she says that, from deep within her coma, she realized she had the capacity to heal herself. And that’s exactly what she did: Five months later, she was cancer-free. Of course, everyone wanted to know what the afterlife is like. Moorjani described the other realm as one without delineations such as race, gender, or even culture. “What I experienced was unconditional love,” she said. 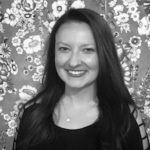 In a panel focusing on stress, psychiatrist Dr. Catherine Birndorf, MD—who recently opened The Motherhood Center in New York—talked about the lack of attention new moms are given (by their doctors, by their workplaces). This neglect is why, in part, so many new moms suffer from postpartum depression. Then, she said something no one was expecting: “It’s normal to have thoughts about killing your kid,” she said, giving examples of putting your baby in the microwave or tossing him or her over a guardrail. Of course, she was quick to add that these dark thoughts don’t actually mean you want to harm your child—not at all. “It just means you’re anxious!” she said. See how the New York City Goop summit compared to the Los Angeles one. Plus, Gwyneth Paltrow’s four must-have travel essentials.